In our activity index, you will find all the Mark Haskins matches currently in our database. Additionally, the most recent matches of Mark Haskins are listed below. 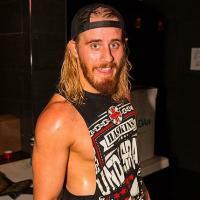 To see all the matches Mark Haskins fought in a specific month, click the respective number in the index. 8 PROGRESS Chapter 84: Eskeewd Beef! Have Anybody Got Any Bokkle Oran Doove?